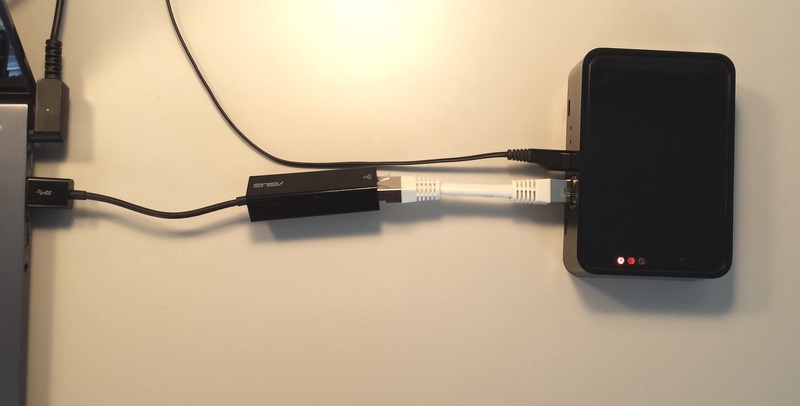 If you are not be able to connect your Thingsquare access point with Ethernet, you can use your laptop Windows PC to connect the access point. This guide shows how to use your laptop PC to connect the access point. Start with connecting the access point's power cable. 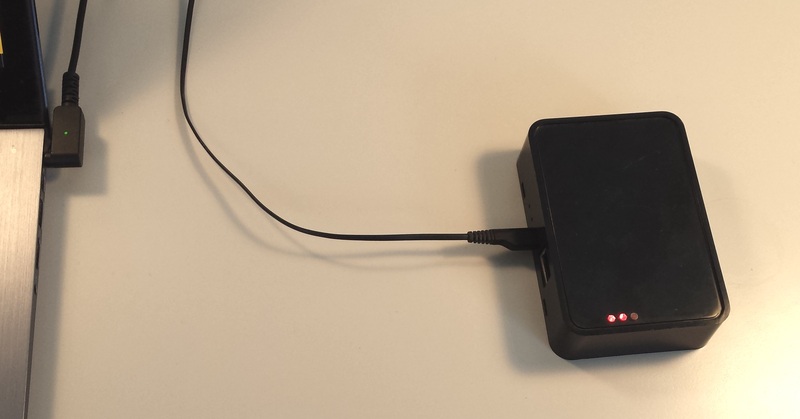 The access point should now begin to flash its red LED to indicate that it has power, but no connection. Connect the access point's power cable. Now connect the access point's Ethernet cable to your laptop. You may need to use an Ethernet dongle. Connect the Ethernet cable between your laptop and the access point. Next we make the PC share its Internet connection with the access point. 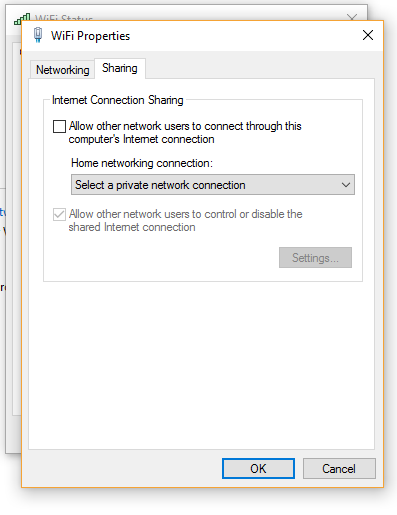 Right-click on the network icon on the far right of the Windows screen and click on the Open network and sharing center menu item. Right-click the network icon, and click `Open network and sharing center`. In the Network and sharing center window, click on the WiFi connection. This will bring up a window called WiFi Status. Click on the WiFi connection. 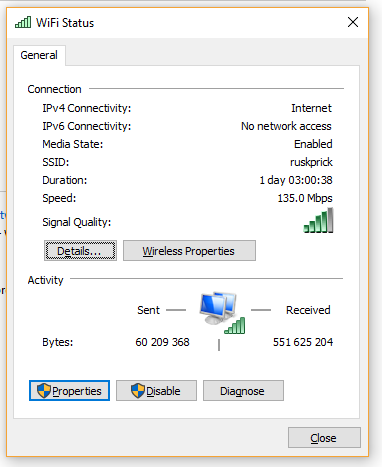 In the WiFi Status window, click the Properties icon. This will bring up a window called WiFi Properties. 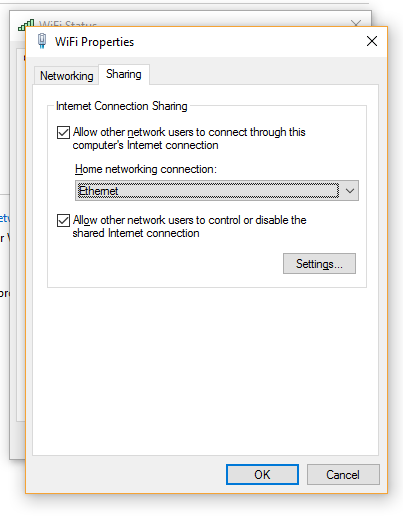 In the WiFi Properties window, click the Sharing tab, which is located at the top of the window. 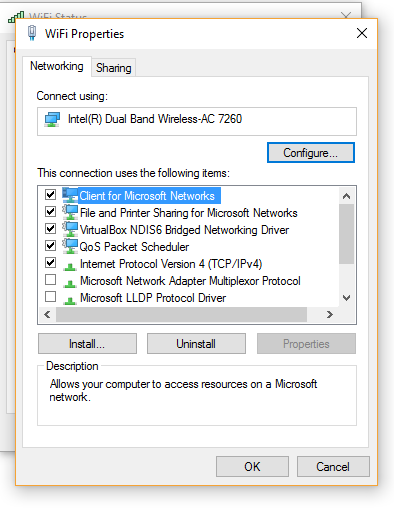 In the Sharing tab, enable the checkbox with the text Allow other network users to connect through this computer's Internet connection. 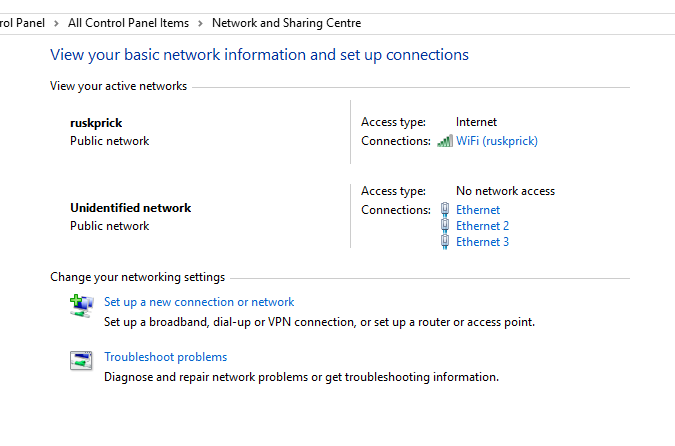 After enabling the checkbox, select Ethernet from the drop-down list under Home networking connection. Click the OK button. Select `Ethernet` from the drop-down list and click the `OK` button. The laptop's Internet connection should now be shared with the access point. If the Windows Internet sharing works, the access point should after a few minutes stop blinking its red LED and the green and yellow LEDs should light up. Sometimes the Internet connection sharing is buggy, and it may pay off to disconnect and connect the Ethernet cable from the laptop. The access point is up and running with its green and yellow LED shining constantly. 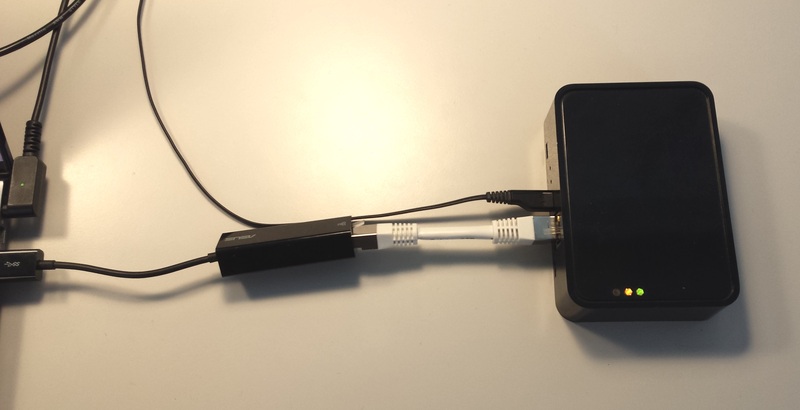 Since the access point is connected via the laptop, the Thingsquare Android/iOS app will not be able to detect its presence. We therefore need to run the Thingsquare desktop app on the laptop to detect it. Download and install the desktop app on the PC. This currently requires Google Chrome to be installed. After starting the app, go to the Nearby tab and click the Network icon. The access point should now show up in the list. The access point should show up in the list of devices on the network.